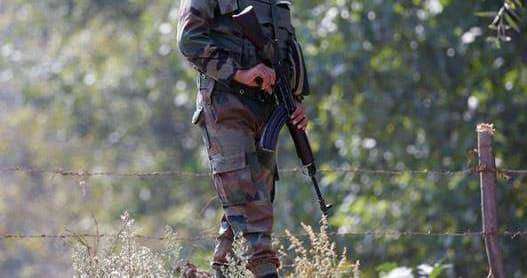 Two Border Security Force personnel were injured when a colleague, apparently annoyed with a superior officer, fired at them with his service rifle in an outpost in Rajasthan's Barmer district, police said on Tuesday. Barmer (Raj): Two Border Security Force personnel were injured when a colleague, apparently annoyed with a superior officer, fired at them with his service rifle in an outpost in Rajasthan's Barmer district, police said on Tuesday. Head Constable M Prakash and Constable Purshottam Kumar were admitted to a hospital following the incident on Monday night. They are out of danger. The accused, Constable Vimal Kumar, was annoyed with one of his superior officers and opened fire at Prakash and Purshottam Kumar in BSF's Deepla outpost with his Insas rifle, Superintendent of Police (SP), Barmer, Rashi Dogra said. Vimal Kumar was taken into custody after BSF authorities informed the police about the incident on Tuesday morning.